Lisa Tantillo and Zack Callaghan's independent art venture featuring handmade ceramics, sculptures, paintings, and prints. 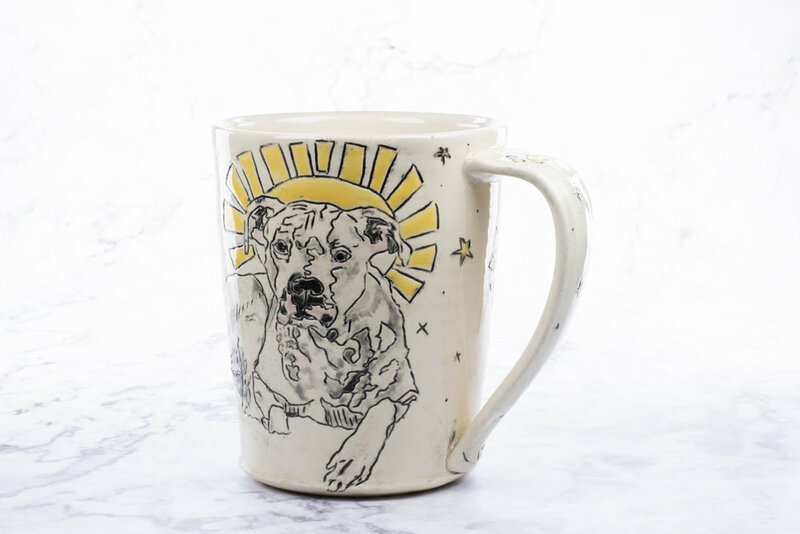 A collection honoring the four-legged companions in our lives. 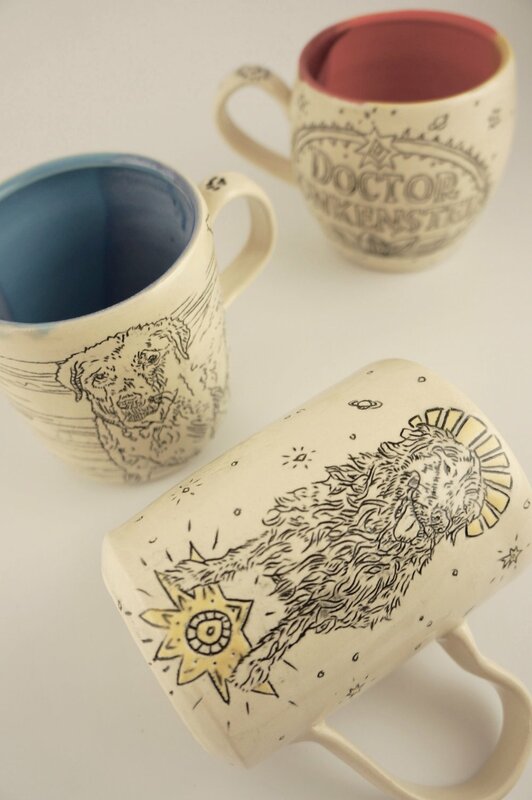 Each piece is a custom commission carved and painted on a hand thrown mug. A featured quote or name on the back makes each piece more meaningful.